Granny's Garden School: Granny's 15th Annual Plant Sale! Granny's 15th Annual Plant Sale! 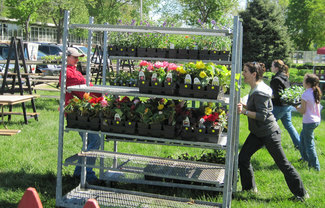 Your assistance with preparing for and during the plant sale is greatly appreciated. Once you register, you will receive an email with details about the sale and the part you will play. Questions: [email protected] or 513-324-2873.